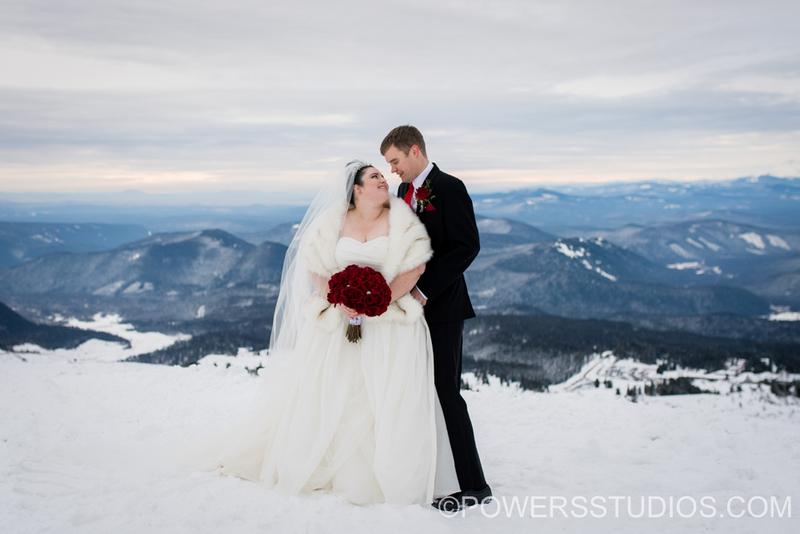 Carrie and Michael enjoyed a joyous, heartwarming, adventure of a wedding up on Mt. Hood at the Silcox Hut above Timberline Lodge. For a mid-December wedding, the weather was absolutely gorgeous during the day. The mountain was out, you could see the view, there wasn’t even a whole lot of frigid wind! I was SO happy for these two. They are so good together. From the fun ride up the mountain in the snow cats, to a very casual first dance played over the Silcox Hut speakers from a phone, I adore these small, intimate weddings. They mean so much to those in attendance. Congratulations again Carrie and Michael, it was an honor!